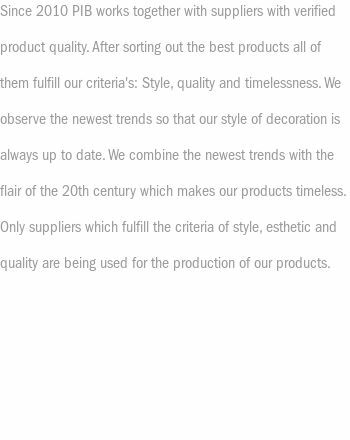 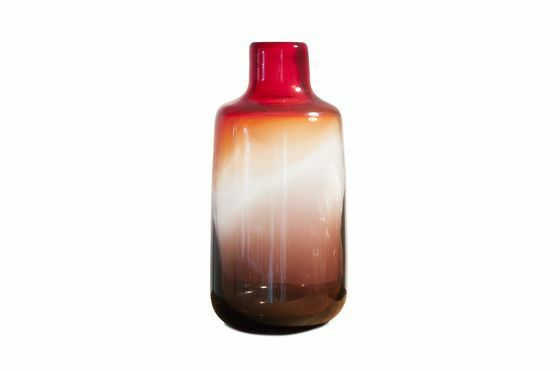 The Bobby Red Glass Vase is a round vase whose line displays a certain elegance evocative of mid-twentieth century design. 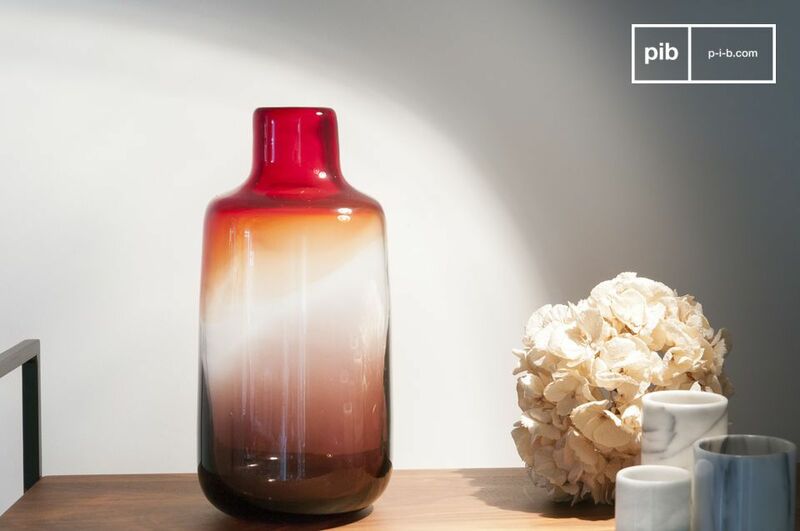 Because of its large size, the Bobby Vase brings a real decorative touch to a table or a fireplace. 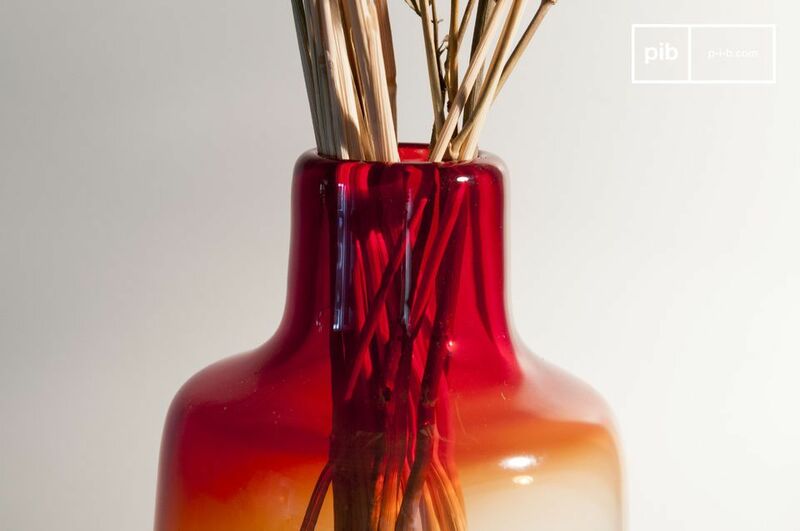 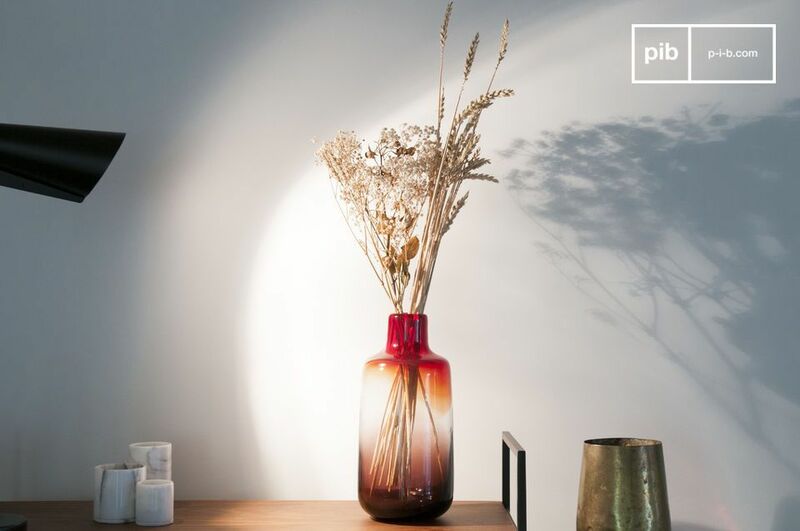 It's one of our vintage vases and it will be perfect to hold a bouquet of fresh flowers or a composition of dried flowers, whose stems are colored through the glass.